The Marsh Warbler is recognised by its song. At night it sings for hours from reeds or hidden groves. Its song is a mixture of the sounds of many breeding birds, for the Marsh Warbler is a good imitator. 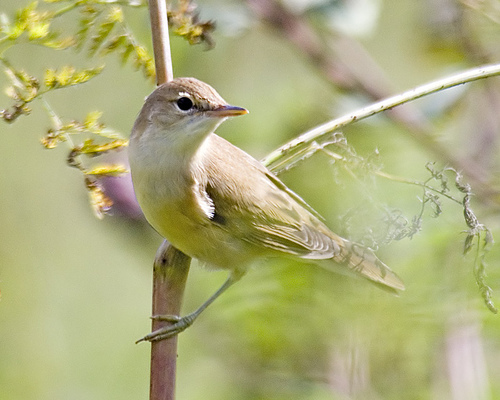 The Reed Warbler has a reddish brown colour, the Marsh Warbler is grey-brown. 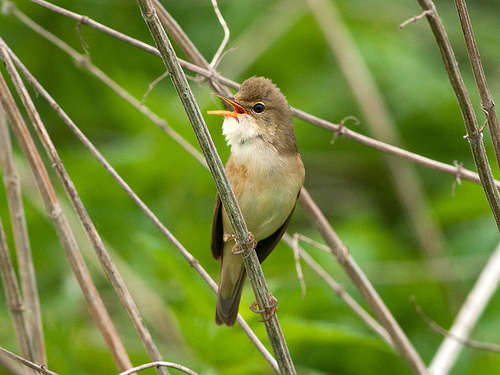 The Reed Warbler sings a rather simple, scratchy song. The Marsh Warbler has a long and complicated song.